Euphoria: a feeling of well being or elation. What would you think if you received an invitation to an event called Euphoria? My first thoughts were of Woodstock and I had visions of a sea of humanity partied out and swaying to the music of some of the greatest musicians of the 60s and 70s, such as Jimi Hendrix and The Who. 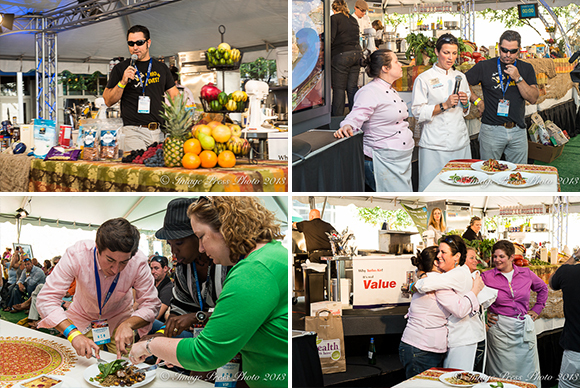 Euphoria is one of those food and wine festivals. 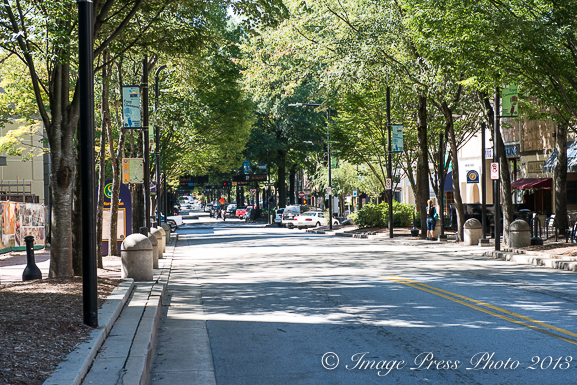 Held in Greenville, South Carolina, it was one of our favorites that we attended last year. 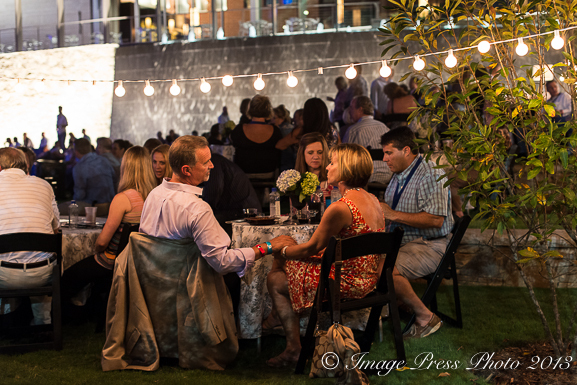 Euphoria was founded in 2006 by platinum-selling singer and songwriter Edwin McCain and restaurateur Carl Sobocinski. 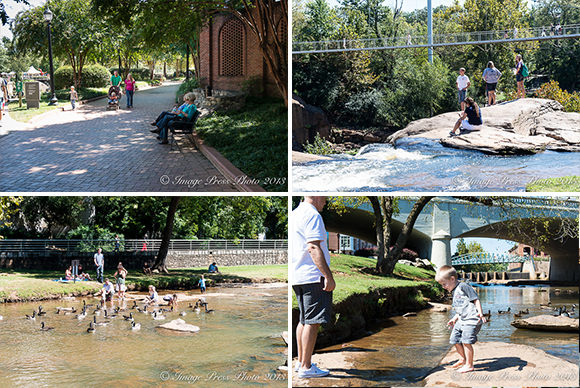 Both the city of Greenville and Euphoria were a pleasant surprise on that fall weekend in September. 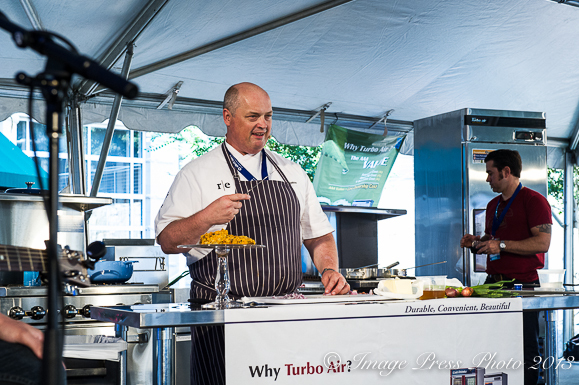 The city was engaging and the event was an impressive mix of talented chefs, excellent food and wine, and enjoyable music. 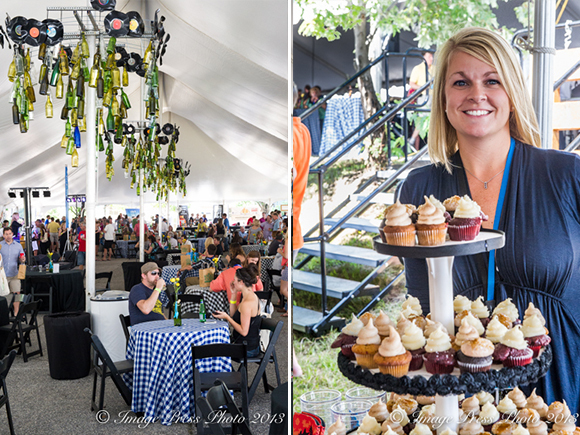 The first event we attended at Euphoria was Friday evening’s Taste of the South. 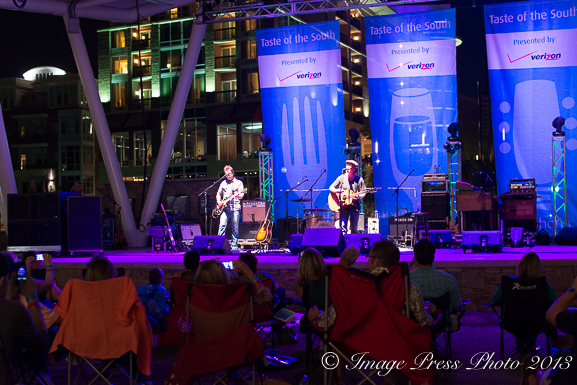 A great way to kick-off the weekend, this evening was all about Southern food, wine, beer, and music. The tasting tables were set up in remains of the original Duke’s Mayonnaise factory, known as The Wyche Pavillion. This unique venue adds a bit of history and contrast to the new buildings along the river which are home to a mixed use and entertainment complex. 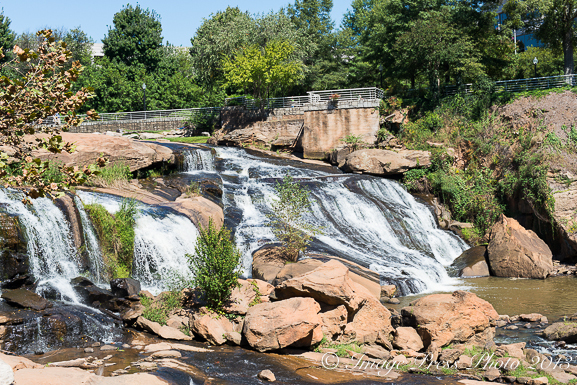 This entire park-like area with the The Peace Center Amphitheatre just steps away, is the main venue for several of the events at Euphoria, and is situated alongside the Reedy River in the revitalized downtown area of Greenville. 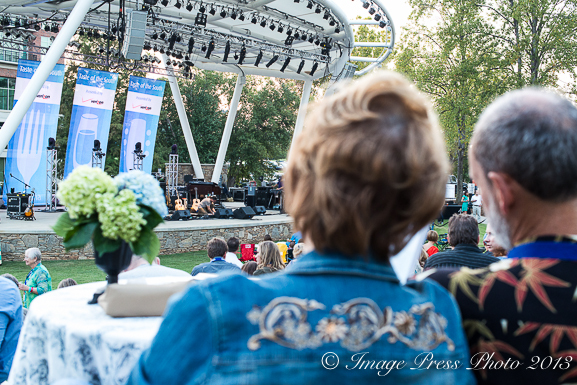 As the sun began to set over the city that evening, guests enjoyed small bites and drinks while listening to the music of local musicians, including one of the founders, Edwin McCain. 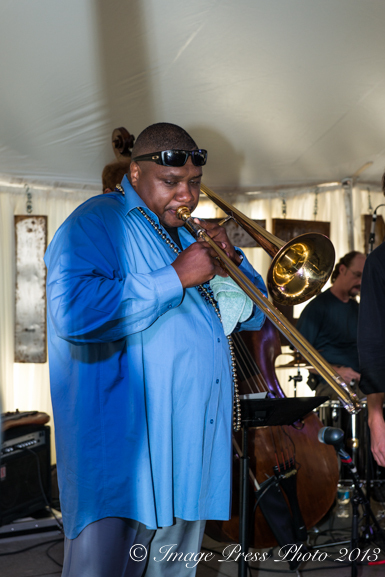 How about a little jazz music? 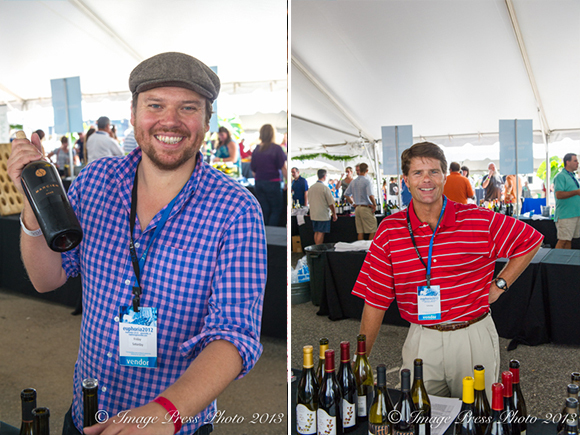 The following two full days of tasting tents, seminars, cooking demos, and Sunday Brunch provided an interesting mix of food, excellent wines, and good times. It was nice that the tasting tents were not overcrowded. 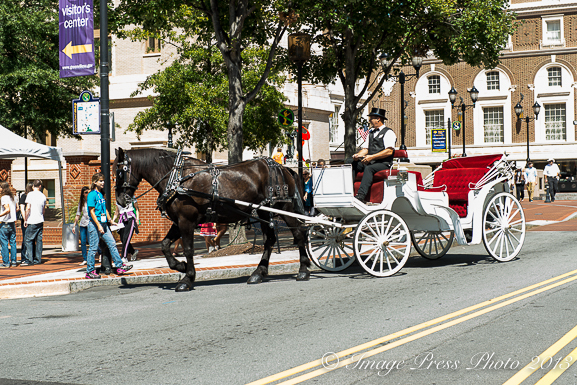 There was a great turnout for the festival, but there still was plenty of room to move around and have access to chat with the chefs and wine and spirits representatives. We liked the intimacy of the event. 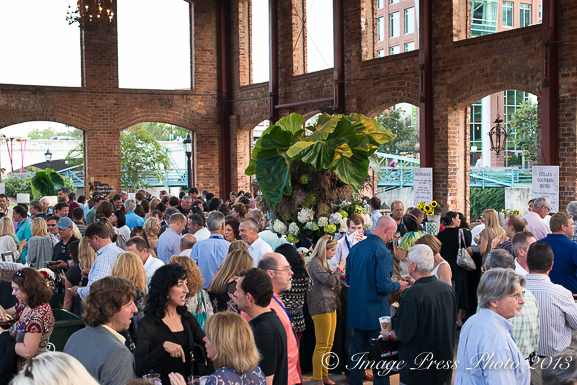 As a lover of wine & food festivals myself, I couldn’t agree more with your thoughts on Euphoria (and the city of Greenville) and what has become one of my favorite weekends of the year. Make plans now to be at Euphoria 2013! Thank you for your comment. We were really impressed with Euphoria and will definitely return. It was a memorable weekend and definitely one to look forward to each year. I’m glad you all feel the same way.